Debt. It's one of the most notorious four-letter words in personal finance, and it's something almost everyone grapples with. Combined credit card debt owed by all Americans exceeded $1 trillion in 2018, and both student loan debt balances and auto loan balances topped a trillion, too. And there's also personal loans, medical debt, payday loans, and other forms of debt to consider. Unfortunately, spending your life in debt can compromise other financial goals, and if you don't manage debt responsibly, it can ruin your credit. The good news is, there are ways to take control of debt, build good credit, and repay costly debts to keep more money in your pocket. Just follow these 14 steps to get your debt under control for good. Many Americans significantly underestimate how much they owe on student loans and credit cards, according to studies conducted by the Federal Reserve Bank of New York. While Americans were better about knowing mortgage and car loan balances, it's important to know total debt balances for every lender. Knowing exactly what you owe, and who you owe it to, helps ensure you never miss payments. It also allows you to develop the most effective debt repayment strategy since you'll have a big-picture view of your finances. You can make a list of all the creditors you owe by obtaining a copy of your credit report. It's free to obtain a copy from each of three major credit reporting bureaus -- Equifax, Experian, and TransUnion -- by visiting AnnualCreditReport.com. Pull your report, list every creditor with an open account, and either obtain your statements or give those creditors a call to find your current balance, payment due date, minimum payment, and interest rate. List all of these debts on a spreadsheet or single piece of paper so you'll have all the info in one place. It's important not just to know how much you owe but to understand how much your debt costs. When you borrow money, you pay interest. The higher the interest rate, the more money it takes to repay your loan. A longer repayment term also means you'll pay back more money in the end, although monthly payments will be smaller. Many people look only at their monthly payment when evaluating how much something costs instead of thinking about the total paid for the privilege of borrowing. A $30,000 car loan at 4% interest stretched out over seven years may seem affordable with payments of around $410 per month, but you'll end up paying back $34,445 so the car costs you almost 15% more than if you'd paid cash. You can use this simple loan calculator to find out the total you'll end up paying in interest based on your loan amount, interest rate, and repayment term. Understanding the cost of debt can help you decide if you want to try to get out of debt more quickly, and will help you decide if you want to take out new loans. Once you've borrowed money, you're obligated to repay what you owe in accordance with your agreement with your lender. In most cases, you'll have minimum monthly payments you're required to make. If you don't pay the minimum, your creditor could charge a late fee. If you're 30 days or more late, creditors typically report your late payment to the credit bureaus. This damages your credit score. You could also go into default, triggering a lawsuit, repossession of your car, or home foreclosure. Refer back to your list of creditors to find out payment dates and minimum amounts due for each lender. Put the due dates on your calendar. If possible, sign into the credit accounts or your bank account and set up automated payments for every debt so you'll never worry about being late. You don't want to try to make a payment if there's too little money in your bank account, so you may want to set up automated payments for the day your paycheck is deposited. Do the math and confirm you'll have enough money to pay your bills and basic living expenses if automated debt payments are made each payday. If you don't have money to make all your payments on time, you'll need to take action quickly. The best thing to do is to talk with creditors about options available to you. Your options vary depending upon the type of loans you have. If you have student loans, you may be able to qualify for deferment or forbearance. Both pause payments on your loan, but if you qualify for deferment, the government covers interest costs on subsidized loans, while interest keeps accruing on loans in forbearance. Mortgage lenders, car loan lenders, and credit card lenders don't usually allow you to pause payments. But, these lenders may be willing to work out a payment plan if payments become unaffordable. Call the lender and tell them you can't pay and see if they're willing to work with you. If you're offered a modification to loan terms, get the details in writing. There are debt relief companies that promise to help if you're struggling. Many of these are scams, so if you want to use one, check the Better Business Bureau and reviews of the company to vet them very carefully. Many debt relief companies simply contact your creditors and make an offer to settle debt for less than what you owe. You don't need to pay a company to do that -- you can call your creditors yourself. 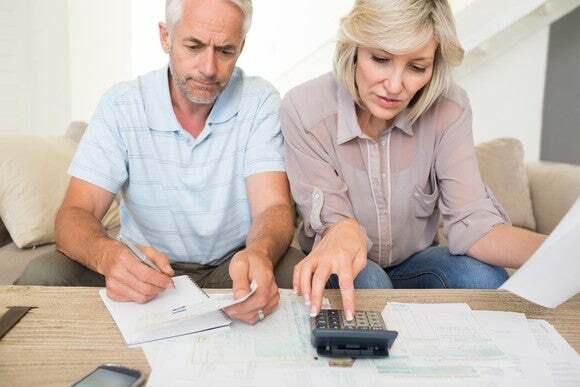 If you've fallen behind on payments, the creditor may be willing to accept a lump sum payment to settle your remaining debt balance that's less than the full amount owed. Be aware that you'll damage your credit if you do this -- but it can be better than bankruptcy. Once you know what you owe and have made sure you can afford to pay at least the minimum, you'll need to decide what to do next. You can just make minimum payments for years and years, but you'll pay a fortune in interest if you do. Many people don't want to be in debt forever and want to repay debt quickly. This is usually a smart approach for costly consumer debt, such as credit card debt. It's not necessarily the right approach for low interest debt -- such as mortgages or student loan debt -- since interest rates on the debt may be lower than rates you could earn by investing. For example, if you borrowed $300,000 to buy your home and took a 30-year fixed rate mortgage at 4.5%, your payments would be $1,520 monthly. If you paid an extra $300 for a total payment of $1,820, you'd repay your loan in 21.5 years. Each year, you'd send $3,600 extra to your mortgage -- and at the end of your loan term, you'd have paid around $80,000 less in interest. However, if you'd instead invested $3,600 annually over 21 years at 7%, you'd have around $160,000. You'd still owe around $134,783 on your mortgage, but could cash in investments to repay the balance, become mortgage free at the same time as if you'd made extra payments, and have almost $30,000 left. Once you factor in taxes, the math gets even worse for mortgage prepayment. Investing $3,600 per year in a tax-advantaged account such as a 401(k) or IRA would save you $792 per year if you were in the 22% tax bracket -- or around $16,632 in tax breaks over 21 years. But, if you missed out on the mortgage interest deduction for $80,000 in mortgage interest you didn't pay, you'd lose around $17,600 in deductions, assuming a deduction each year at a 22% tax rate. Still, while it often makes financial sense to make minimum payments on a mortgage and student loan and invest extra cash instead of aggressively paying down debt, there are some people who strongly prefer to be totally debt-free. If you don't want any debt in your life, you can make a plan to repay all your debts as early as you can. You'll also want to think about how to treat debt going forward. Will you swear off using credit cards forever, or keep using them but commit to pay the balance each month? Will you make a commitment to pay cash for everything or continue to finance big purchases as long as you can do so responsibly? If you struggle to manage debt, committing to become debt-free and stay that way may be your best bet -- but making big purchases and building credit will be much harder. Your debt affects more than just the interest you pay. Your credit score can be affected, too -- and a low credit score means you may not be approved for loans in the future or you'll have to pay more to borrow at a higher interest rate. If you max out credit cards, your credit score goes down. Your credit utilization ratio plays a big part in determining your credit score. Generally, you should try to use no more than 30% of available credit to maintain the best credit score. If you have a $10,000 credit limit, this would mean keeping your credit balance below $3,000. If you stop using credit entirely, your credit score goes down. Swearing off borrowing forever may seem like a good thing, but if you don't borrow and build a positive payment history, you won't build credit. It can be better to make at least a small charge on your credit card each month and pay it off in full. If you're late with payments, your credit score goes down. Being more than 30 days late on a payment could cause your credit score to drop between 90 and 110 points if your score was previously around 780 or higher. If you apply for new credit, your credit score may go down. You'll get an "inquiry" on your credit report if you apply for new credit. Too many inquiries lowers your score, regardless of whether you actually take a loan. If you end up borrowing, your average age of credit also goes down, which hurts your credit score, too. When you make decisions about managing debt, keep your credit score in mind so you don't inadvertently take actions to cause borrowing to become more costly in the future. Knowing how much you owe isn't, by itself, enough to determine if you have too much debt. Your income matters, too. If you have an income of $20 million a year and have a $1,000,000 mortgage, you're in much better shape than if you have a $200,000 mortgage with an income of $50,000. That's why it's important to know your debt-to-income ratio. Your debt-to-income ratio compares the amount you owe to the amount you earn. You can make two comparisons: total debt balance versus annual income; and total monthly debt payments versus monthly income. Knowing your debt-to-income ratio will help you determine if your debt could disqualify you from borrowing money in the future. For example, if you want to apply for a mortgage, you usually won't qualify if your debt-to-income ratio is above 43%. If monthly debt payments total $2,000 and your income is $3,500, you'd likely be denied a mortgage. Many young people with high student loan balances are locked out of the property market because student loan payments make their debt-to-income ratio too high. If your ratio is above where it needs to be and you can't qualify for financing because of it, you'll either need to get aggressive with reducing your debt balance or increase your income. Use a balance transfer to reduce your credit card interest rate: Many credit cards offer a promotional rate of 0% interest for a set number of months -- although you'll usually pay a small fee of around 3% to move existing credit card debt to the new card. Doing a balance transfer to move high interest debt to a card with a 0% rate makes repaying credit card debt faster, cheaper, and easier. Take out a personal loan to pay off high-interest debt: Personal loans often have lower rates than credit cards. You could borrow from a bank, credit union, or other personal loan lender and use the money to pay off one or more credit cards. This would also allow you to have one monthly payment instead of many. Refinance a car loan or home loan: If interest rates have fallen since you bought your house or car, you could take out a refinance loan. Your new loan would ideally have more favorable terms than the old loan, which would be repaid in full when you refinance. Take a home equity loan: Some people borrow against their house to repay credit card debt or other consumer debt such as medical loans. While the benefit of this is that home equity loans usually have a lower interest rate, there are significant risks. You could lose your house if you can't pay and could end up owing more than the house is worth. You'd be unable to sell your home without bringing cash to the table or ruining your credit. Before you take out any new loan to repay your old one, make sure there are no prepayment penalties for paying the old loan off early. There are a few different approaches to repaying debts. One option is to concentrate on repaying debts with the highest interest rate first. This option makes the most mathematical sense because the sooner you get rid of high interest loans, the better off you'll be. However, there's another popular approach commonly called the debt snowball method. This approach involves paying off your smallest debt first, then moving onto your next-smallest debt. The snowball method has been found by researchers to be a better approach to debt repayment because it helps many borrowers maintain their motivation. With either approach, you should put extra cash toward debt repayment. And, once you get one loan paid off, you can reallocate money you were paying on that loan toward the next one on your list. If you paid off a credit card you made $100 payments on, add $100 onto payments for the loan you intend to pay off next. It's tempting to put every spare dollar toward your debt. However, you also need to remember other important financial goals, such as saving for retirement and saving for an emergency fund. If you don't have an emergency fund, you may have to put unexpected expenses on a credit card. If you were working on paying the card off, putting new charges on it could be discouraging enough to cause you to stop trying to manage debt. Even in a best-case scenario, you could find yourself trapped in a neverending cycle of repaying debt and going right back into debt again. You'll also need to make sure you're saving enough for retirement. If you focus too much on paying off debt, you could miss out on free money from an employer 401(k) match. You could also miss out on tax breaks available each year for 401(k) or IRA investments. Plus, you could end up with too little money during retirement since saving early is important to retire wealthy. Deciding how to balance debt repayment and saving is difficult. You may want to focus on getting rid of very high interest debts, such as payday loans, before saving money for anything else. Then, contribute enough money to a 401(k) to get an employer match, make minimum payments on debt, and save until you have a small emergency fund of around $1,000 or $2,000 before devoting extra cash to debt repayment. How you balance debt and savings is a personal choice. Important factors to consider include how close you are to retirement, how much risk of an emergency you face, and how high your interest rates are. Just don't automatically assume you can neglect other financial goals in favor of debt repayment. If you're committed to repaying debt quickly, you need to put as much money as possible toward this goal. You can free up extra funds by tracking your spending for 30 days, identifying where you're wasting money, and creating a budget. Your budget should be realistic, but should limit spending on unnecessary purchases to devote more money to debt reduction. When you make your budget, not only should minimum debt payments be factored in, but you should also budget for extra payments on debt. Make these extra payments must-pay items in your budget and adjust other expenses to accommodate them. Ideally, when you've determined how much extra money you can devote to debt repayment, you should set up automatic payments on payday that include this extra amount so you always pay more than the minimum. If you've decided to make extra payments on your debt, it's important to stay motivated. Monitoring your progress can help. You can use online tools such as undebt.it, which allows you to input all your debts, choose a repayment plan, and record both regular monthly payments and extra payments. Undebt.it shows you how long you have until you'll become debt-free and how far you've already come. Some people also like to make physical representations of their debt, such as a paper chain to remove links from after making a payment or a debt thermometer chart to color in as debt is paid. While you don't have to use any of these techniques, it's helpful to track your progress to see how fast your debt is declining. You should also check after each payment to ensure it was applied correctly so your balance declines. You can also monitor the effects of debt repayment on your credit by using a service such as Credit Karma. As your debt balances decline, your credit score should improve because your credit utilization ratio gets better and you build up a history of on-time payments. Seeing your credit score go up can motivate you to stay the course. When you've paid off old credit cards, you may be tempted to close those accounts so you don't ever get into debt again. Unfortunately, closing these accounts can hurt your credit score by lowering the amount of available credit you have and by shortening the average age of your credit. The best option would be to leave the cards open and use them responsibly by paying off your balance each month. If you don't trust yourself to do that, you may still want to keep them open and make a single small purchase each month that you pay off in full. 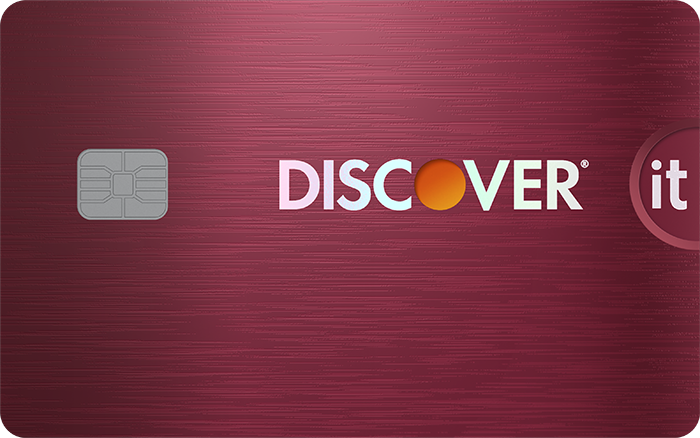 This allows you to keep cards active and continue building credit with a positive payment history. You could chose to do this with all of your accounts, which could be a hassle, or just keep one card open to keep building credit. If you're going to keep only one card, try to chose either your oldest card or the card with the highest available credit limit, and pick a card with no annual fee. Once you've gotten your debts paid off, you don't want to go back into debt again. You need to make a plan to avoid that. Living on a budget is a good way to avoid debt, but you also need to be prepared for unexpected emergencies. Make it a goal to save for an emergency fund that has enough money in it to cover three to six months of living expenses. You can use the money you were paying toward debt and instead make "payments" to yourself until you've built your emergency fund. When you have this money set aside, you hopefully won't be forced to borrow money, even if you have a job loss or a major medical emergency. You'll have the money to cover costs big and small and can stay debt-free. Owing money costs you money in interest -- and causes financial worries about what happens if you don't pay it back. By taking control over your debt, you get on the fast track to financial freedom and can make your money work for you, rather than making lenders richer. 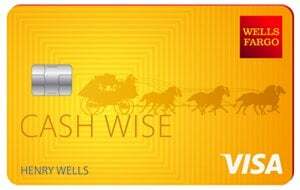 This may be the perfect 0% intro APR credit card. You can instantly halt interest charges on purchases and balance transfers for nearly two years save a whopping $1,987 in interest. 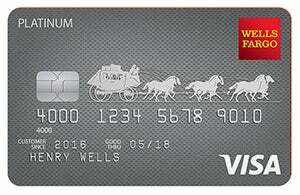 With such a deep bench of perks you'll wonder how this card packs in a $0 annual fee. Best yet, you can apply and get a decision in two minutes. Learn more with our in-depth review.